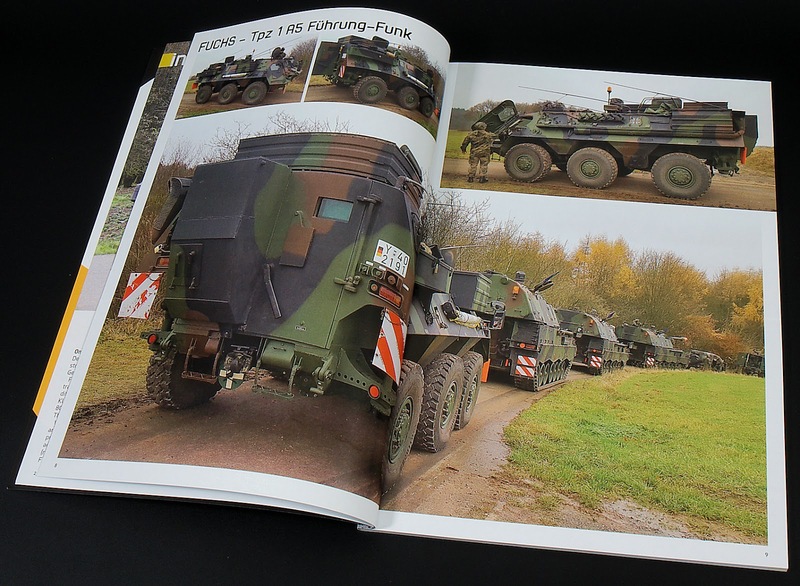 Paul has built a few modern and specifically Modern German machines of war here on TMN, so who better to read and review the new title from Pla Editions and their new series of books? " 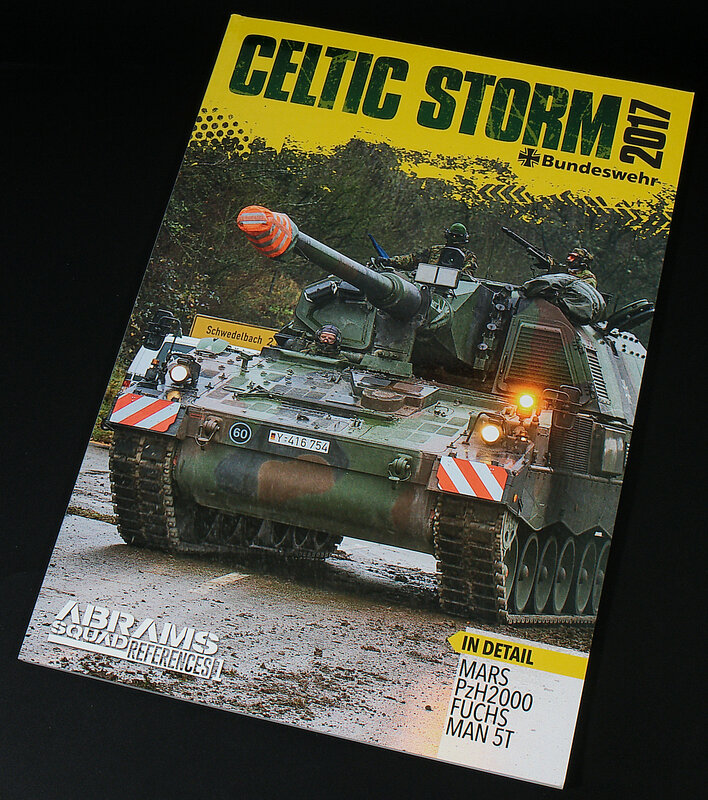 Abrams Squad References: Celtic Storm 2017" covers a special meet of Bundeswehr vehicles and AFVs, see what he thought of the book in today's story. Product Link on the Pla Editions Website. 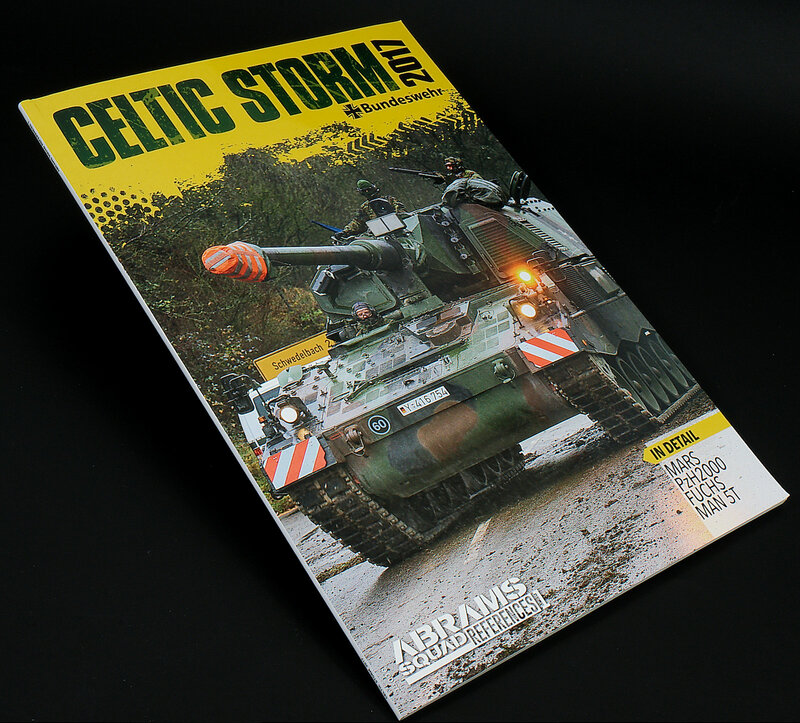 You could be forgiven for thinking a publication called Celtic Storm would have something to do with the British Army, but no. 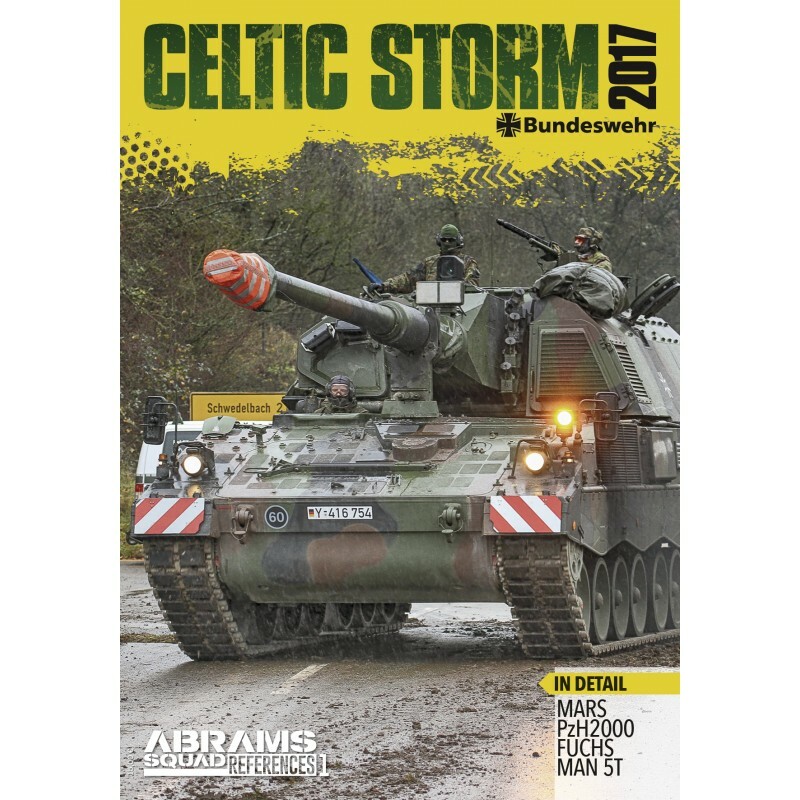 Celtic Storm was the name of a military exercise during November and December 2017 involving Artillerie Lehr Battalion (Artillery Training Battalion) 345 so Bundeswehr fans, this one is for you! Coming in the standard A4 portrait format, this magazine is fairly light on the text with a much greater emphasis on photos, but given that it is a reference volume, this should not be too much of a surprise. A brief introduction outlines the exercise, where it occurred and what the objective of the exercise was. 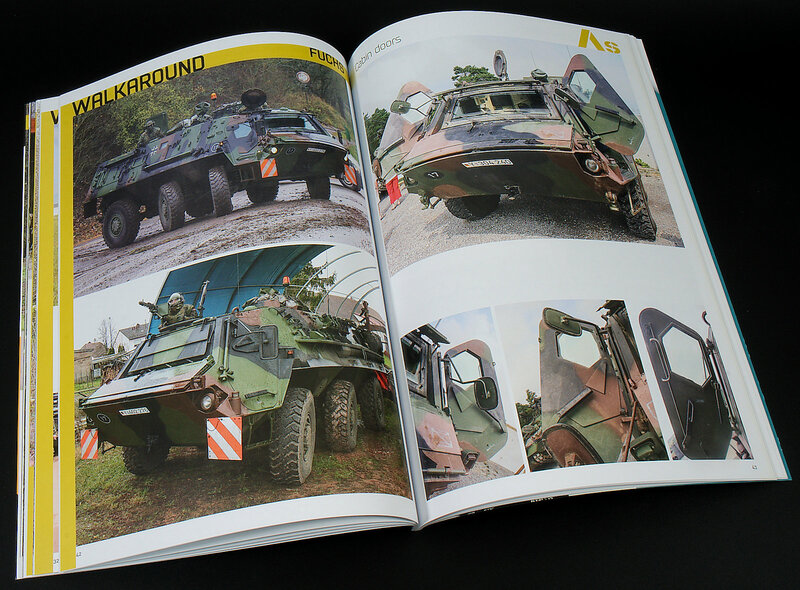 As I mentioned earlier, the focus is on the pictures of the vehicles and the photographer has done a great job capturing the various vehicles during different stages of the operation such as in transit on the highways and roads like this Fuchs. One picture I did find interesting was the chipped up hi-viz plate on the rear of this Fuchs command vehicle, so often provided perfectly as a decal in kit form, this is definitely a point of difference on your next project. This PzH2000 is an excellent example of how dioramas with modern military vehicles on civilian scenery can still be made, without necessarily being in the middle of a warzone. 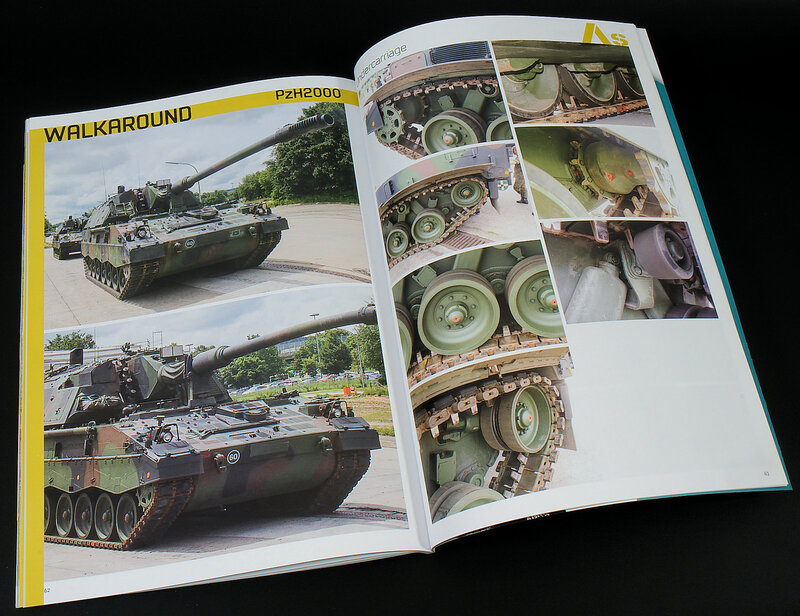 A civilian car would be perfect in illustrating how gigantic the PzH2000 actually is. 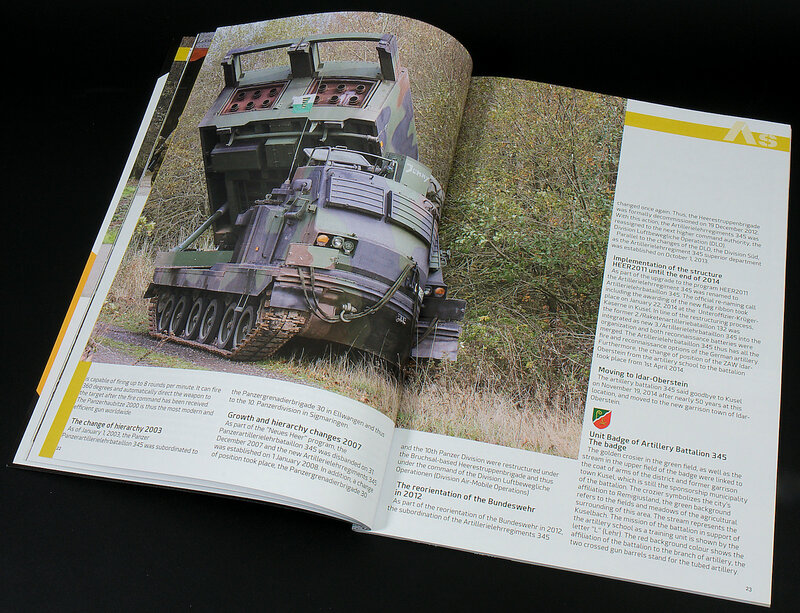 There is a small section on the history of Artillerie Lehr Battalion 345 from its formation in 1956, covering the various changes in organisation and equipment throughout the years and this forms the bulk of the reading you will have to do for this magazine if you really want to go into it. UAV’s are almost a symbol of modern warfare, and while there are not a huge number of pictures of these vehicles and their launch platforms, we are given pictures of the UAV CL 289 and its replacement, the KZO. 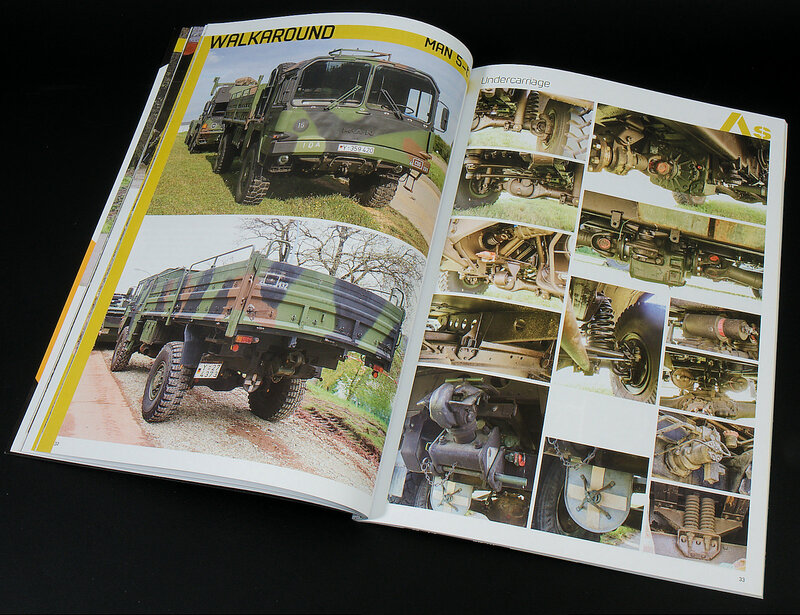 Each set of pictures include excellent shots of various interior exterior details of each of the aforementioned vehicles. One thing I did find particularly interesting was the various states of the Nato three-tone camouflage on all of the vehicles with some looking fairly new and almost pristine, while others showed it looking quite dusty and faded. 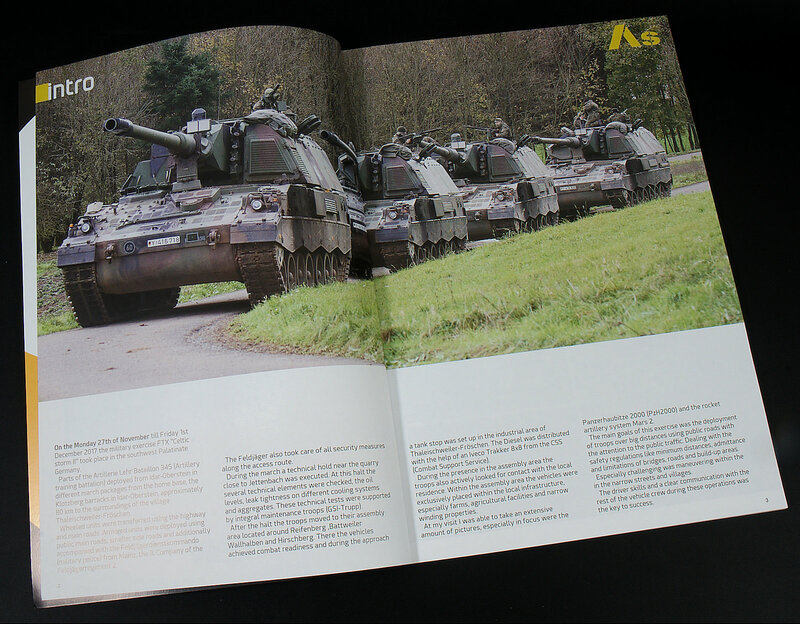 Chipping is often considered non-existent on modern armour, although there is a picture of the machine gun mount on top of the PzH2000 which appears to exhibit a fair amount of chipping. Ok so it’s one picture so I wouldn’t go dabbing that sponge all over your next build, but I wouldn’t say it doesn’t exist at all. 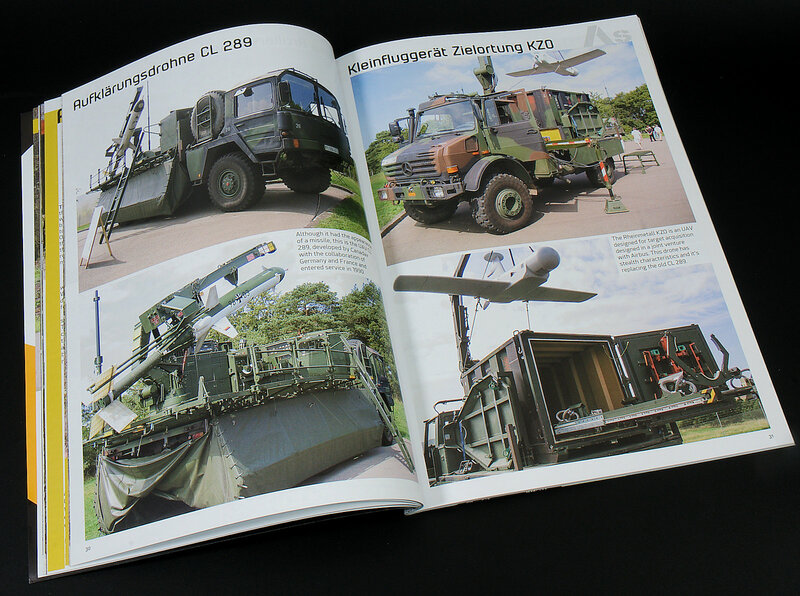 Bundeswehr fans, this volume is definitely for you, especially If you are planning on building that Meng PzH2000. Or the older Revell Fuchs you have in your stash. 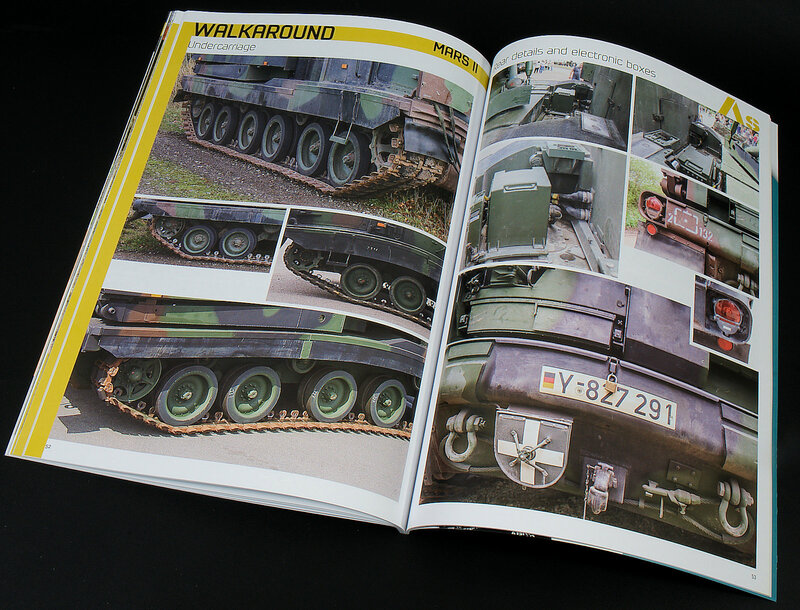 However, this doesn’t necessarily mean that it is only useful for German fans and has lots of inspiration on how to weather that Nato three-tone camouflage, or even just plain green vehicles. Thanks to Pla Editions for sending this copy to read and review.